My father had a special transcendent vocal ability that made him something of an anomaly in the world of pop and rock, but that's what endeared him to his fans. 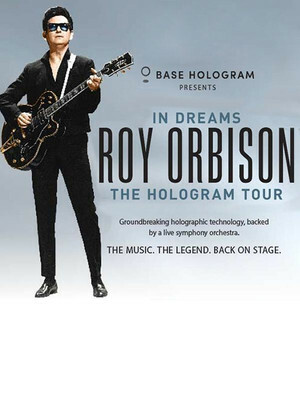 Why See In Dreams - Roy Orbison in Concert? 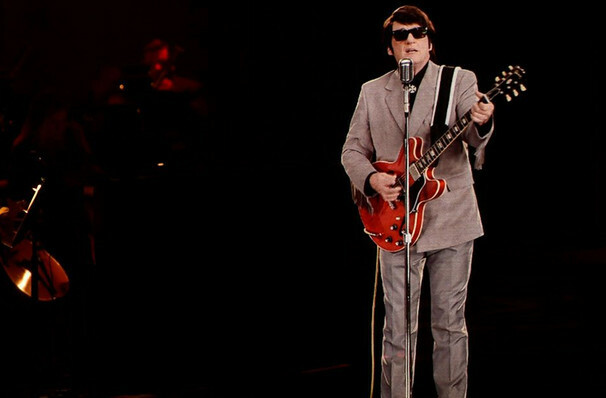 With his signature dark glasses, enigmatic charm, powerful voice and a musical legacy spanning almost four decades, Roy Orbison left an indelible mark on the American rock and roll landscape. Whilst his life was tragically cut short by a heart attack in 1988, the man behind Top 10 hits 'Only The Lonely', 'Crying' and 'Oh, Pretty Woman' is set to have his sonorous croon, iconic look and timeless songcraft immortalised in BASE productions' 'In Dreams', a dazzling fusion of analog and digital where Orbison takes to the stage once more in hologram form, accompanied by a full live orchestra. For 65 mind-blowing minutes, the technological concert experience presents 16 of the icon's greatest hits, recreated with incredible attention to detail, breathtaking laser projection and first class musicianship. And the performance is anything but 2-D! Even in between songs the holographic Orbison interacts with his backing band and the audience, delivering his trademark electric charm and veteran sense of showmanship. Sound good to you? Share this page on social media and let your friends know about In Dreams - Roy Orbison in Concert at Paramount Theater. Please note: The term Paramount Theater and/or In Dreams - Roy Orbison in Concert as well as all associated graphics, logos, and/or other trademarks, tradenames or copyrights are the property of the Paramount Theater and/or In Dreams - Roy Orbison in Concert and are used herein for factual descriptive purposes only. We are in no way associated with or authorized by the Paramount Theater and/or In Dreams - Roy Orbison in Concert and neither that entity nor any of its affiliates have licensed or endorsed us to sell tickets, goods and or services in conjunction with their events.